General Contractor, specializing in new home construction, renewable energy, solar, super high performance insulation systems, and energy efficiency consulting services. Brothers Building Co. has been building finely crafted homes in Central Vermont since 1965. Over the past 50 years Brothers Building has built a wide array of meticulously detailed homes, from traditional to contemporary, always demanding the very highest quality workmanship from its craftspeople, subcontractors and suppliers. Our success as a builder of fine custom homes is based on the complete satisfaction of our clients both during the construction process and at the completion of each residence. 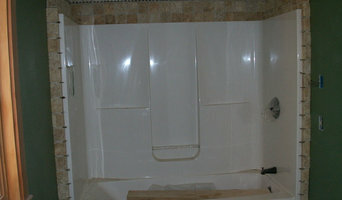 Customer satisfaction typically equates to the finest quality finish project at the most competitive pricing available. Our business is modeled around these two principles. Our clients are our advertising; 100% of our new business is by referral. Many clients have returned to Brothers Building to build second and even third projects. 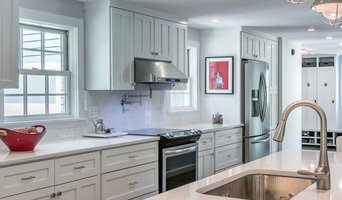 Fifty years of building custom homes in central Vermont has enabled us to build working relationships with a variety of the highest quality subcontractors and vendors doing business in our area. Because of our successful relationships with the area's best qualified millwork shops, electricians, plumbers, masons, etc., we are able to provide each project with multiple competitive bids for each trade, guaranteeing the best pricing for our clients. Each project is assigned a full time project superintendent responsible for day-to-day operations. Our experienced project superintendents focus on every detail of the project and are dedicated to both the financial and aesthetic success of your project. Our professional office staff supports the project superintendent in tracking costs and insuring costs are inline with budgets, monitoring on-time material deliveries and administering subcontracts. More than twenty Brothers employees have been with the company over 10 years, several for over 20 years. 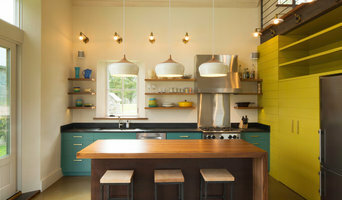 Vermont's Award Winning Architect / 9x Best of Houzz! Josh Boynton started this company in 2000 after studying Architectural and Building Engineering Technology at Vermont Technical College. We are a building contracting company. We focus primarily on residential renovations, such as; new kitchens, baths, window/door replacements, and new construction, such as; houses, garages, and decks. Our goal is to create the best possible experience for our clients in their renovation, repair or building project. We work together with the homeowner, their architect, and subcontractors to establish the project scope, budget, and timeline for each project. Effective planning, communication, along with quality craftsmanship are what you can expect from our company. When purchasing materials, we support our local businesses by using the local lumberyards and hardware stores. We use quality products and create quality craftsmanship in every job that we do. Our crew is insured, experienced, professional, courteous, and takes great pride in their work. Our crew is highly experienced, highly skilled, and dedicated to quality craftsmanship and customer service. They are punctual, professional, and personable. We have office hours daily from 7am-3:30 pm where you can call and speak with a real live person! Boynton Construction, Inc. takes pride in providing honest, timely communication between you and our team. We utilize the most competent, highly qualified subcontractors for our non-carpentry related trades. Our subcontractors pride themselves on their competency, and their quality of service. John Q. Doane, Architect, is located in northern Vermont, where we choose to work directly with the people of this beautiful region. Our core aesthetic is grounded in no presumed style, or form, but is created through a design process that draws from our cultural heritage and the unique site context presented with each project. We provide design and planning services for a variety of building types that extend beyond the residential with municipal, institutional and commercial work. Residential has always been a core part of the project load with single family homes comprising most of this residential work. These projects usually involve existing houses or structures, where we strive to utilize the physical assets as best possible, to realize solutions that inspire and provide the vital needs of home that a client seeks. Therefore, many of the projects profiled here show the evolution of the project from the original building & context, through the design drawings of the design process, to the end result of the built solution. Our office is a collaborative office called Center Studio, a physical home base that John Q Doane, Architect has shared with design colleagues Kristen L’Esperance of Cultivation Design, and Carl Frenning of Carl Frenning, Architecture, among others over the years. While Vermont is our core region. We understand the North, and have worked with other homes in Astoria, Oregon, Bellingham Washington, Minnesota, and on the Coast of Maine. Inquiries into our services are welcome by phone or e mail. I would be delighted to start a dialog with you. Connor Restoration strives to provide customers with personal service and a high level of detailed professionalism. Connor Restoration has garnered a strong reputation for restoring historic barns and outbuildings to a working life, renovating and refitting historic homes for modern living, as well as restoring church steeples. Working in partnership with the Preservation Trust of Vermont and Efficiency Vermont, they work to implement new technologies and procedures while remaining true to historic preservation practices. We specialize in thorough, thoughtful and professional restoration of historic structures. A trade that can by some be considered a lost art, restoration is often an aggregate of various skills not practiced by many carpenters today. Timber framing, to jacking and foundation stonework, plaster and lath to slate roofing, these are a few of the skills we can employ when working on vintage structures. Coordination of meaningful construction projects is another venue where Connor Restoration plays a valuable role in the surrounding communities. The company provides Construction Management on large projects, working in concert with architects, subcontractors, engineers, offices of public works, planning & zoning, permitting, surveyors, equipment dealers, material suppliers, and relying on local sub-contractors whenever possible, to oversee the project from beginning to end, and to the satisfaction of the client. Weather it’s resuscitating an 1800’s post and beam barn into new living space or re-roofing a steeple, repurposing an old wood shed into a new kitchen or transforming a classic meeting house into a grand home, Connor Restoration can get the job done. We also are versed in new construction with a focus on energy efficient homes with details that have a touch of the past. We can give these homes a classic feel with the craftsmanship of yesteryear and convenience of today. So, call or write us to talk about your next project, today. 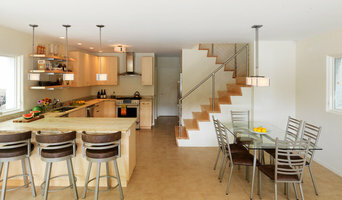 Birdseye is an award-winning architectural design and building company based in Richmond, Vermont. Our services also include finely crafted woodworking and metalwork, site development, landscape construction, and customized property services. 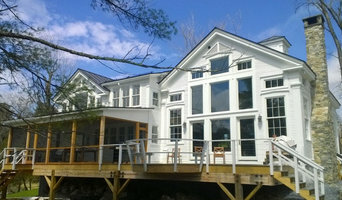 Custom Home Architectural Design & Construction Company specializing in energy efficient and comfortable quality homes. Every building designed by J. Graham Goldsmith is carefully designed to meet the desires of the clients, to harmonize light, space, surrounding materials, and is inspired by unique site characteristics. The use of natural daylight to create appeal, enhance the mood, and design that fits the context of the natural environment are important architectural principles learned during his study under Louis Kahn. These principles continue to inspire and are evident in the work today.